As you may have heard, antibacterial soaps with toxic triclosan have been banned by the FDA – hooray! So, how about this easy, natural, safe and effective way to keep your hands clean and healthy?! 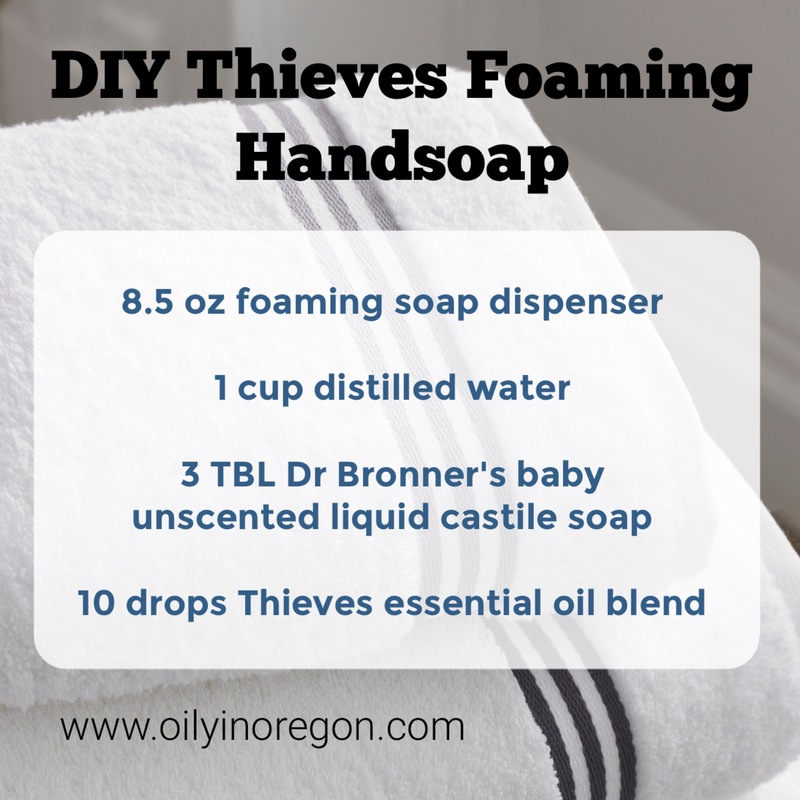 We keep a DIY Thieves foaming hand soap dispenser at every sink in our house. Click here to order Thieves essential oil.